There need be no doubt any longer. The Chinese are coming conspicuously and visibly—big and fast. Forthcoming months will witness Beijing unveiling a multi-pronged strategy, according to Chinese academics who talk to Nepali visitors. As a counter to the Chinese thrust in expanding their reach and influence, the United States sets renewed sight on Nepal as a crucial site for its strategic activity. 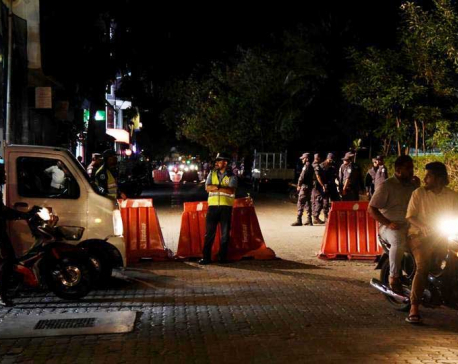 The Donald Trump administration has allocated $ 113 million for promoting connectivity and some other areas in the Indo-Pacific region, including a climb in infrastructure loans to the Maldives, Nepal, Pakistan and Sri Lanka. China organizes 5,000 annual seminars, conferences, orientation programs and training of all categories and shades of grays. This has enabled it to turn around quite a few South Asian leaders and independent scholars, among others, in the new millennium. Confucius centers are the platforms expected to produce Beijing’s desired outcome by the next decade and a half. The Chinese watch with consternation Doklam in Bhutan and Sikkim that India annexed 45 years ago. The two areas are both not very far from Mustang, and hence are seen as a springboard for Western powers to penetrate into Tibet and through it elsewhere in that tightly controlled communist country. In January 2018, the Chinese ambassador to Nepal visited Dhanusha to hand over relief materials to 3400 flood victim families in eight wards. This contrasted sharply with an incident in 1980 when New Delhi expressed alarm over China being approved of constructing a warehouse in the Tarai. Today, Beijing is proposing to build an industrial district in Jhapa, the chicken neck adjoining Nepal and India. Bhutan, Bangladesh and India’s northern states are among Beijing’s market sites. Beijing realizes that the West and New Delhi have invested in different firms and multiple media organizations in Nepal. Of late, Chinese are also keen on propping up a number of online news portals. China-friendly sources are convinced that Beijing will spread its wings in this sphere overtly or covertly. Prime Minister KP Oli’s government is flirting with the US Indo-Pacific Strategy which constitutes a precondition for grants and loans scheme from Washington. The second requirement is not to return Tibetan refugees to the Chinese government. As neighbors, India and China in their immensities can make or mark many measures of Nepal. In 1959-60, Prime Minister BP Koirala twice rejected his Chinese counterpart Zhou en-Lai’s proposal to build the Kodari highway linking Nepal and China. King Mahendra’s assumption of power metalled the way for the lifeline of trade between the two countries. The only Nepal-China highway’s significance rests on the fact that Nepal government has been pressing for China to reopen the highway blocked after the 2015 quake disaster. During Oli’s 2018 China visit, the hosts made their intent clear to engage deeply with Nepal, and develop special ties. Misreading the subtle warning, Oli and his entourage took it as Nepal being given “great importance”. The hosts did not hesitate to drop hints of developing a “two plus-one” format for dialogue whereby both China and India could make joint approach to key issues affecting their common interests. 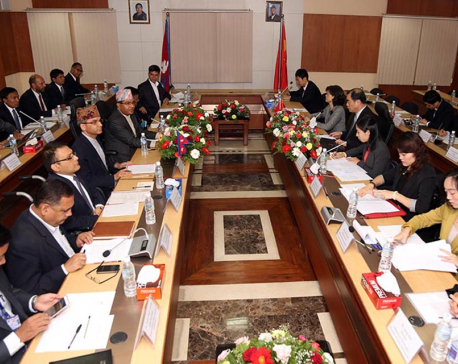 As a prelude to the uncharted idea of the new dialogue format, Beijing and New Delhi without consulting Nepal, unilaterally announced their plan to conduct business through Nepal’s Lipulekh. 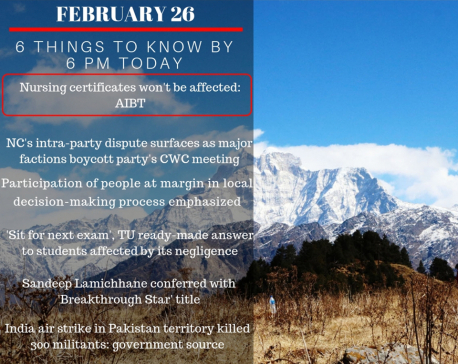 Except the late Kirtinidhi Bista, no other incumbent or former prime minister registered any protest against the Sino-Indian dubious decision. China’s population is expected to peak at 1.4 billion in 2029 before going downhill and shrinking its workforce by 200 million in the year 2050. Demographers say Beijing’s efforts at boosting the number of young population will be in vain. In its search for meeting the workforce shortage, Nepal, a landlocked poverty-stricken country where unemployment is high and whose economy is sustained in large measure by remittance from four million youths working in West Asia and other regions, could be an enthusiastic steady source of supply of workforce. Is Nepal outsourcing its foreign policy? This is a question New Delhi is raising after what it saw as Nepal’s bland statement in connection with Islamic militants’ raids in India-administered Kashmir this year, in which more than 40 Indian troops were killed. At the United Nations Security Council, China, as twice before in 2016 and 2017, vetoed a move by the US, Britain and France to blacklist Masood Azhar whose militant group had claimed responsibility for the action in India-administered Kashmir. Indian government ministers and key office-bearers of Prime Minister Narendra Modi’s Bharatiya Janata Party (BJP) tell their Nepali visitors that Nepal’s statement on the Pulwama incident was a ritual—neither independent nor non-aligned. They even suspect that Nepal might have “colluded with forces” bent on initiatives against India. “Recovering” Nepal from Chinese embrace has preoccupied Delhi these past three years. Balanced ties between neighbors are Nepal’s political compulsion and sovereign necessity. Unsettling it would invite back-breaking repercussions. Protocol to Transit and Transport Agreement, signed in August 2018, allows Nepal to use four sea and three dry ports for third country trade and commerce. Nepal agreed to sign a trade and transit treaty with China in 2016, a year after the 2015 India’s throttling economic blockade. India wants to participate in and coordinate Nepal’s foreign policy, as it does with Bhutan’s whereas China is keen on ensuring that its security interests are not adversely affected. As a credible reassurance to their sensitivities, New Delhi and Beijing are learnt to be keen on unrolling their new scheme to Nepal’s political direction “anytime after this spring”. Washington handed a carrot to a desperate Pushpa Kamal Dahal, who shares space with Oli in Nepal Communist Party’s leadership, by an invitation to the US, ostensibly for medical treatment of his wife Sita. The Americans, however, drew their stick by its lukewarm response to Nepal Investment Summit last fortnight. 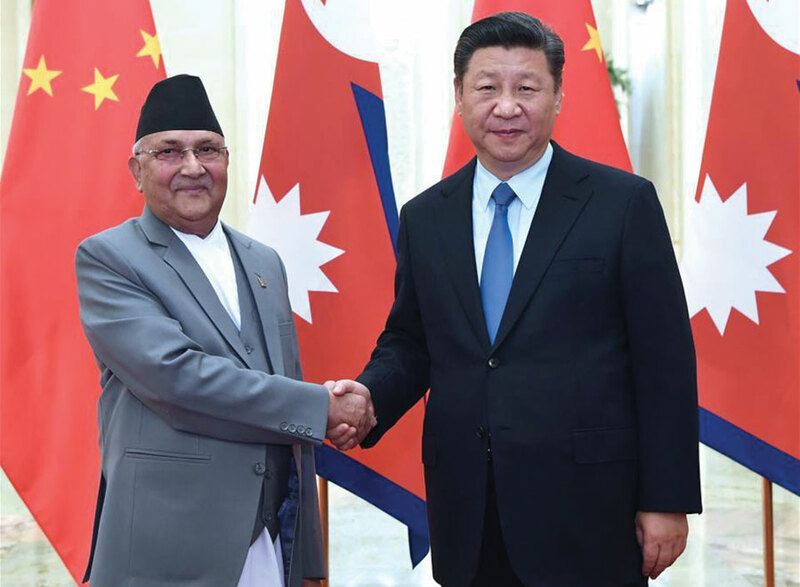 Beijing trusts neither of the twin NCP chairs, a firm indicator being the non-invite to Oli at the annual Boao conference while Dahal last year returned midway from his China trip after the hosts politely refused permission to him to proceed to the capital for a much hoped-for audience with President Xi Jinping. Given Beijing-New Delhi perception of the Nepali communist duo as unreliable and unpredictable while Nepali Congress tilts increasingly pro-West, a roadmap for their joint approach to Nepal should be just round the corner. In India, the opposition Congress leader Sonia Gandhi and the then Prime Minister Man Mohan Singh sounded very apologetic to former King Gyanendra during his trip to New Delhi that they always wanted the institution of monarchy in Nepal as a balancing force of stability and neighborly sensitivity. Either the two spoke a truth or they had reviewed and regretted their previous policy on Nepal. This might be the reason why Indian Prime Minister Narendra Modi and other BJP leaders exude confidence on their Nepal policy not being scuttled whoever might be in the seat of power in New Delhi. In the past three years, former King Gyanendra has had an accelerated series of “exploratory” talks separately and jointly with various levels of political representatives from the two neighbors who have at regular intervals given some frugal briefing to the Americans too. This progressed into “strategic” series of deliberations before advancing to specific points with the higher-ups and “finalizing” an understanding on massive political turnaround presented as inevitably logical. The former monarch’s meetings with representatives of various agencies and leaders during a four-nation trip in October have settled on a breakthrough stamped in Mumbai in October. Washington’s new desire to give greater attention to Nepal speaks of the importance it attaches to this country after many decades, which has made Beijing sit up in preparation of the US activity in the days ahead. Beijing’s latest nudge at New Delhi is to pace up their understanding on their Nepal policy they agreed upon six months ago.